For many, Alfred Hitchcock's name conjures images of shower murders, malevolent birds, and Jimmy Stewart in a wheelchair spying on his neighbors. You would be hard pressed to find anyone not familiar with Hitchcock's hugely successful mid-period. Fewer people, however, at least in America, are familiar with his earlier British films, made before his transition to Hollywood. It was there where he cultivated his reputation as a top notch director of mysteries and thrillers, eventually catching the eye of producer David O. Selznick, who brought him to Hollywood to direct his only Best Picture Oscar winner, Rebecca, in 1940. One of his last British films before making the journey across the pond was 1938's The Lady Vanishes (he only made one more, Jamaica Inn, in 1939), which has languished in the public domain for many years, available in substandard transfers at discount prices. One of the very first Criterion DVDs (it's spine #4), the film is finally getting a much needed and well deserved blu-ray upgrade, and boy is it a doozy. Margaret Lockwood as Iris Henderson, Michael Redgrave as Gilbert and Dame May Whitty as Miss Froy. It comes as something of a shock to see the 73 year old film look so good after years of substandard prints and mistreatment, but the Criterion transfer is truly dazzling. The Lady Vanishes is not as beautiful or visually dynamic as some of Hitchcock's later works, but it's still stunning in HD. The film also features one of Hitchcock's most deliciously ingenious plots (one that has been borrowed from many times since). Margaret Lockwood stars as Iris Hendersen, a young Bristish socialite traveling by train through the fictional country of Bandrika, somewhere in Central Europe. At the train station she meets Miss Froy (Dame May Whitty), a kindly old governess who joins her in her cabin. The two strike up a friendship, two strangers in a strange land whose common nationality draws them together. Upon returning to their cabin from dinner, Iris falls asleep, only to discover upon waking that Miss Froy is missing. Concerned, Iris begins to make inquiries around the train, and discovers that not only have they not seen her, they don't remember her being on the train at all. Is Iris losing her mind? Or is something much larger and more sinister at work? The Lady Vanishes is Hitchcock at his most effortlessly entertaining. But like the master's best work, there is a lot more going on here than meets the eye. 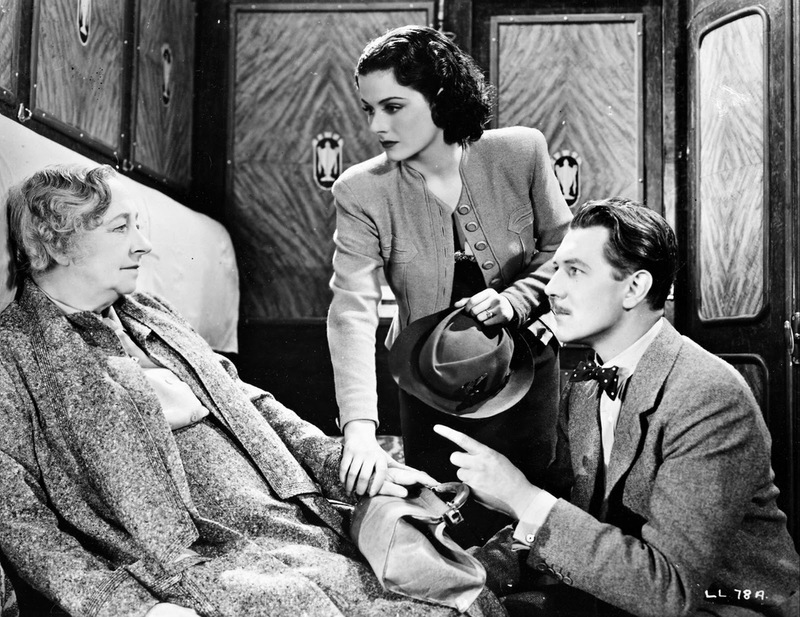 As light and as breezy as it may feel, The Lady Vanishes was a film very much of its time, representing a kind of last minute, quintessentially British stiff upper lip attitude while standing on the precipice of a looming world war. The undertones are unmistakable. "We're British citizens, they can't do anything to us" a passenger quips, before being shot in a climactic shootout. A Chamberlain-esque would-be diplomat attempts to negotiate with foriegn assassins under a white flag, and is mercilessly gunned down. The Lady Vanishes represents a kind of end of British innocence, in much the same way that Jean Renoir's The Rules of the Game was a much more grim representation of a French society lurching toward ruin. The can-do British charm remains intact throughout the film, but the undercurrent of unease and apprehention at an uncertain future is readily apparent. 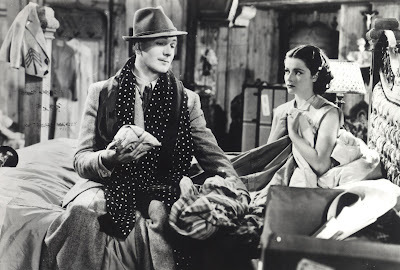 Margaret Lockwood as Iris Henderson and Michael Redgrave as Gilbert. ﻿The film may seem slight when compared with other films in Hitchcock's ouevre like Psycho and Vertigo, but it's every bit as masterful as his more well known works. It's so precisely crafted, so endlessly clever, and just so much fun that it can't be ignored. Francois Truffaut cited it as his favorite Hitchcock film, and an excerpt from his landmark interview with Hitchcock is included on the blu-ray. It's fascinating hearing Hitch recount the making of The Lady Vanishes, which was shot on a tiny set that was just 90 feet long, with another great director who was also a huge fan. The blu-ray also includes some of Criterion's typically comprehensive critical essays, as well as the 1941 feature film, Crook's Tour, in which Basil Radford and Naunton Wayne reprise their roles from The Lady Vanishes. While not nearly in the same league as The Lady Vanishes, it still retains that unmistakable British charm. Hitchcock clearly displayed his brilliance early own, and The Lady Vanishes is perhaps his greatest early triumph. It's a snappy, witty, dryly funny testament to British perserverence and tea time that cannot and should not be ignored when discussing the master's finest work. It's one of cinema's great, and often unfairly overlooked mysteries. Hitchcock shows us how its done and delivers a veritable master class in suspense and charm, two qualities the director mixed without equal, and The Lady Vanishes showcases the master at the height of his powers. 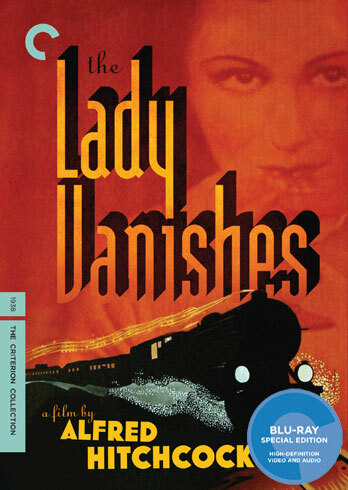 THE LADY VANISHES | Directed by Alfred Hitchcock | Stars Margaret Lockwood, Michael Redgrave, Paul Lukas, Dame May Whitty, Cecil Parker | Not rated | Now available on blu-ray and DVD from the Criterion Collection.